My first fab bag of the year is here! Fab Bag has set a such high benchmark with its previous bags that now its a bit difficult not to expect them to do something extravagant. In the very first glance itself I was quite pleased with the bag. The adorable print on it made the bag seem very attractive and presentable. 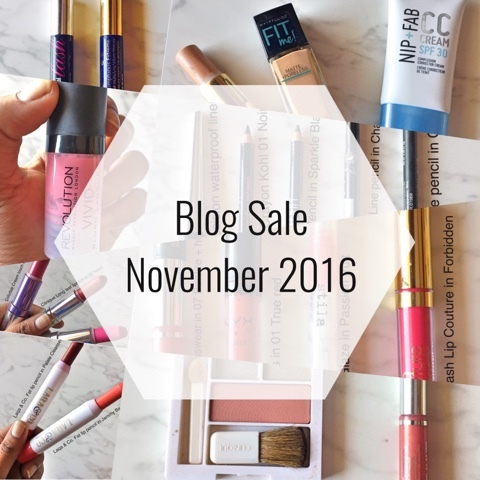 Also this month I had got a chance to select a makeup product of my choice about which I would be sharing with you in a bit. 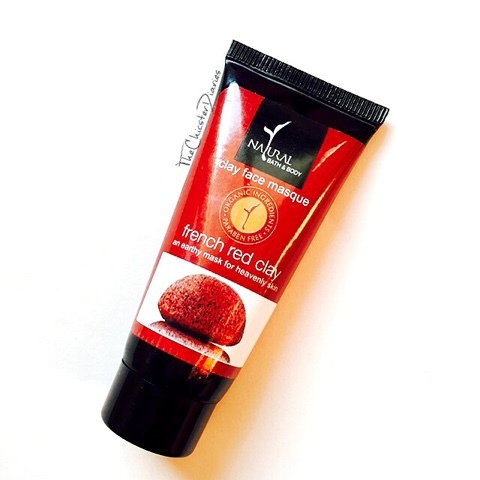 Natural Bath & Body French Red Clay Face Masque – Rs 450/- for 100 ml. 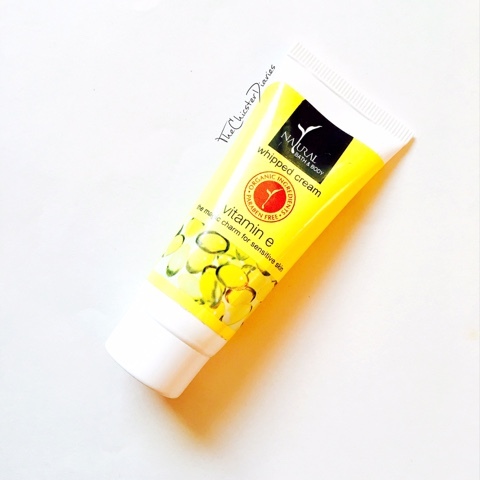 Natural Bath & Body Vitamin E Whipped Cream – Rs 275/- for 50 ml. 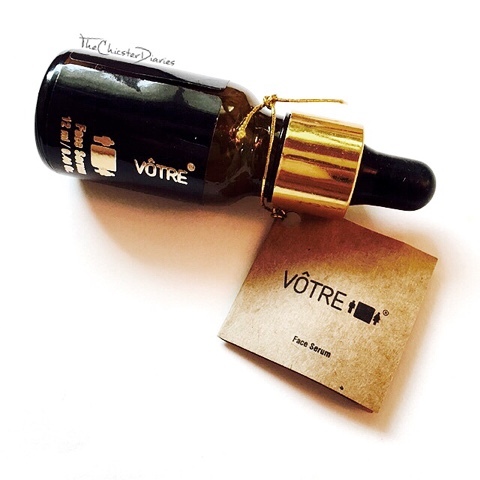 Votre Face Serum - Rs 1670/- for 12 ml. BBlunt Spotlight Hair Polish- Rs 550/- for 150 ml. This mask is an absolute delight! You can notice the difference immediately after the first application. Even though it's a clay mask the product didn't dry my skin out but rather made my skin soft and supple. The ingredient list is pretty impressive as it contains virgin coconut oil, turmeric powder, sandalwood extract, beetroot powder. kaolin, fuller's earth etc. Natural Bath & Body Vitamin E Whipped Cream (Received: 15gm). This organic and paraben free cream is a perfect fit for all the ladies with sensitive skin. The cream has an air whipped texture and probably that is where it did get its name from. 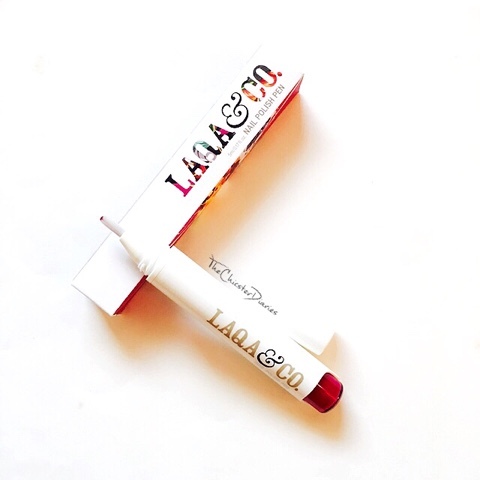 The product is light, non greasy and enriched with Vitamin E.
As I told you earlier I was given a chance to select a makeup product of my choice and amongst all the products I choose the Laqa and Co. nail polish pen in Nookie. As of yet I have come across only lip products in a pen form of packaging but the concept of this pen nail polish is very innovative to me. The color Nookie is lovely berry shade that looks like it will fit right into my fall nail polish rotation. Also, this is definitely a must have will travelling I would say. I haven't tried a lot of Votré products but the ones I have tried haven't failed to please me. This serum surely is a winner amongst all the other products. I have an undying love for serums as they always seem to get keep my skin happy. This serum in particular has the goodness of virgin cold pressed oil, alomond oil, jojoba oil, orange peel extract, rosehip oil and various other essential oils. 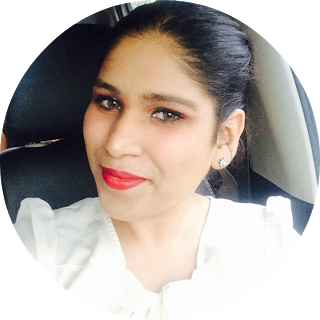 Within one use I noticed that my skin felt rejuvenated and supple in the morning. However, I am plan on using it a bit more to give some serious feedback on it. I was extremely glad on getting a sample size of a hair polish in my bag as I have tried other haircare products by Bblunt before but not their hair sprays. 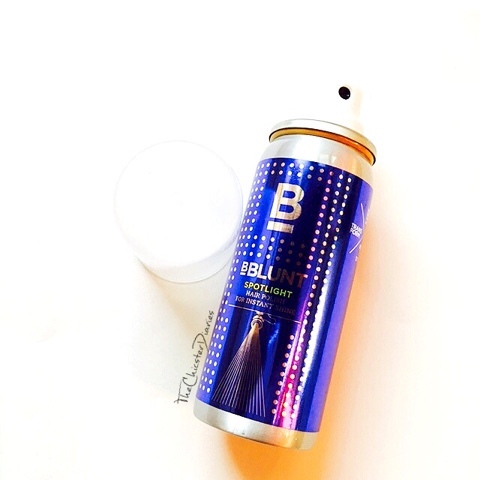 This spray adds that extra bit of shine to your hair and even controls flyaways to some extent. Add on bonus was that it didn't weigh my hair down or even make it greasy. Overall Verdict: Amongst all the products the Votre Face Serum and Laqa & co. nail polish pen are my favourite. This month's bag is definitely worth a buy! as out of the 5 products I got 2 of them were full size products making it more than thrice the worth of the actual bag. Highly Recommended! 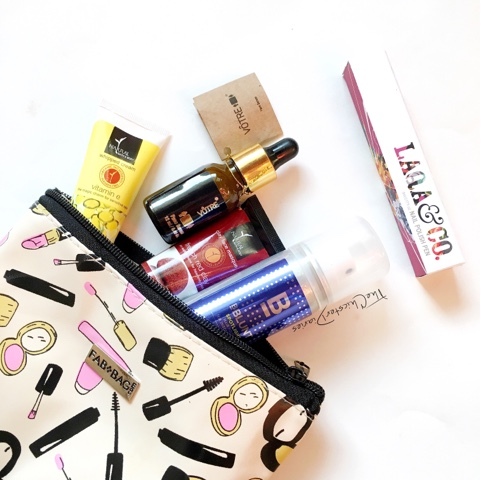 Hope you enjoyed reading this post and do let me know in the comments section below which were your favorite products in the January Fab Bag? PS: What do you think about my new Blog header? Would love to hear some honest opinions! Love ur this month's FAB BAG .. Also I love ur logo..bcoz its colorful chic and absolutely matches your black n white theme! Loving the Fab bag this time around. I soo wanna try out that Nail polish. Love the header as well. Very chic indeed. My recent post: Maybelline Fit Me Concaler Review | Shade 20 'Sand Sable' !! !! Looks like you got a nice round up of goodies here. That clay mask sounds really good as well, I love that it has coconut oil in it! I think the products you got are pretty good ! 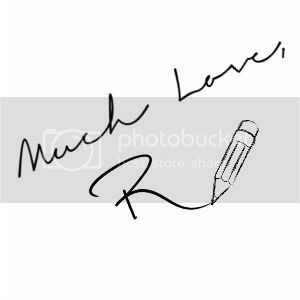 the blog header is very pretty, well done ! I dont have any beauty reso for this year but thinking now to have.